The porte-cochère, meaning carriage entrance in French, began as an architectural feature on palaces and manors during the reigns of Louis XIV and XV. The roofed structure, which extends from the entrance of a building over an adjacent driveway or courtyard, provided a bit of ceremony as well as functionality. Carriages could enter an interior courtyard to drop off and pick up passengers under a shelter from the weather. Today, of course, cars have replaced the carriages of yesteryear, but we still love the idea that these homes make much out of the arrivals and departures of residents and guests. Besides, in this month of April showers, we’re all for designs that dodge the elements. 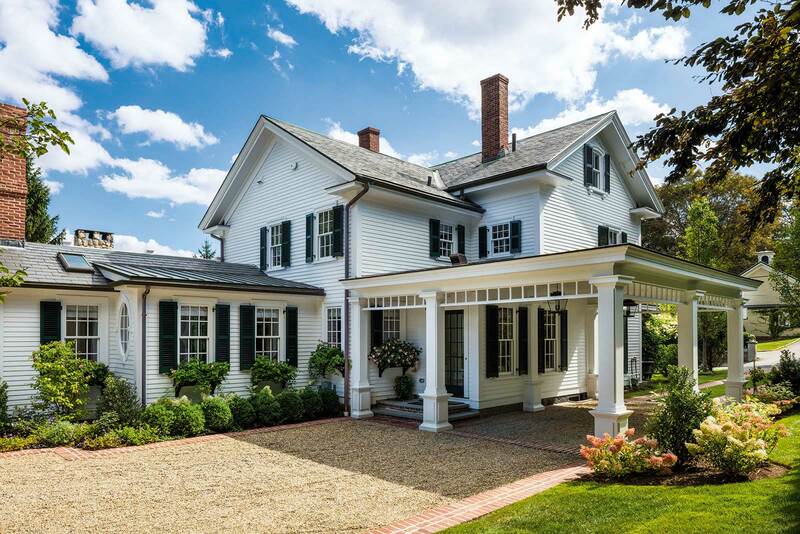 It isn’t often you see a porte-cochère these days, especially on the Cape, says owner Gary Souza of Cape Cod builder Rogers & Marney, Inc., and you can tell he’s charmed by what it lends to this Shingle Style home. Here, the porte-cochère has all of the virtues of the home itself—from the flat-faced fieldstone to the v-joint boarding and ceiling vault, which mimics the lines of the roof. The cobblestone under the structure, in lieu of the gravel of the drive, paves the way to the front door. 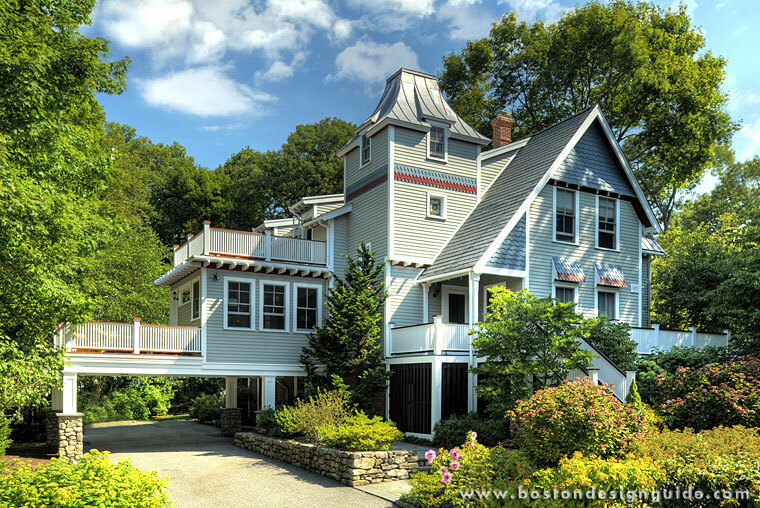 This 1870s Victorian home in Wellesley was a former schoolhouse that had lost its central tower to a fire. When Peter Sachs Architect replicated the architectural focal point, he also created a carport and addition to house the family room, dining room and kitchen. The design is in keeping with the home’s character, and has a stepped effect from the tower’s curved zinc roof down to the drive. 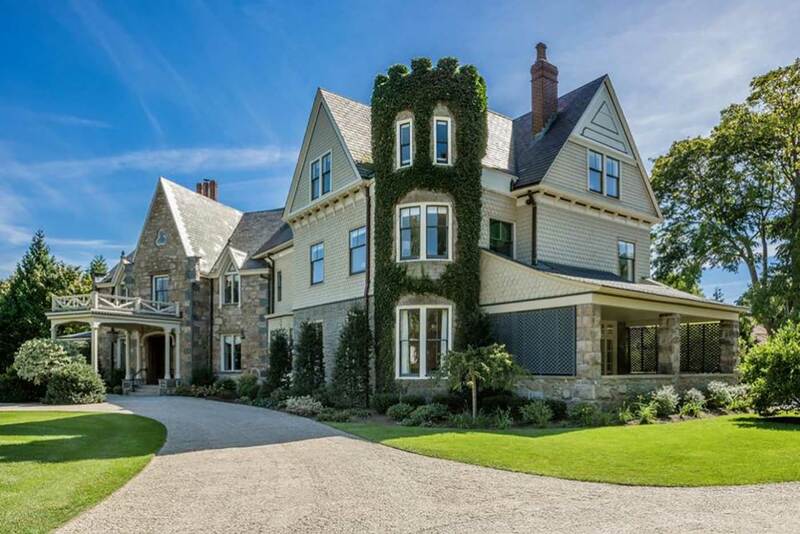 For the homeowner of a historic estate in Wellesley, S+H Construction constructed a new porte-cochère that conjured the look and provenance of the Victorian period house. To give the illusion that the feature was original to the home, S+H Construction utilized stone for the column piers sourced to match the residence’s foundation and reclaimed granite cobblestones within the structure, which had been, maintains the firm, “worn smooth by over a century of traffic on Boston streets.” A barrel-vaulted ceiling elicits a lofty feel while a high-backed bench built into the wall serves as a gentle reminder to sit awhile and slow down from time to time. For a Newport Gothic/Eclectic home renovated by Parker Construction, the porte-cochère delivers a sense of anticipation and sophistication to the arrival sequence. The residence is blessed with exquisite details inside and out, and this true porte-cochère is no exception: the wood structure has a custom railing system that echoes the trim of the main home. 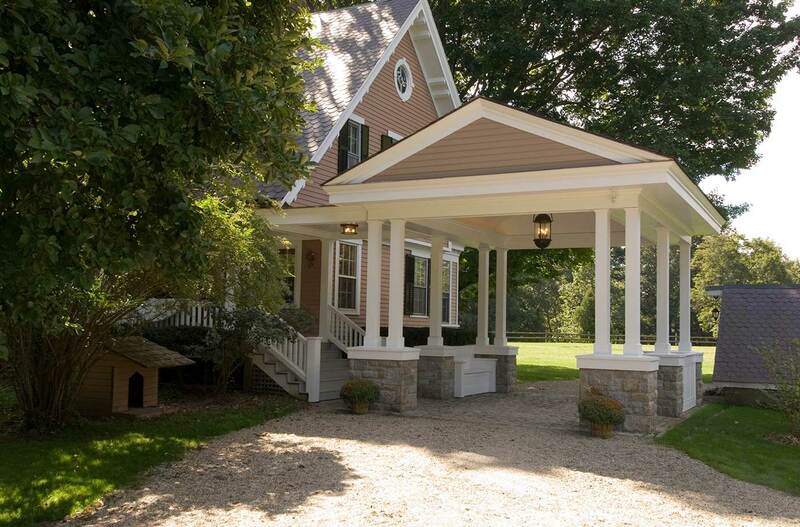 This picturesque porte-cochère designed by MGa |Marcus Gleysteen Architects for a custom New Hampshire farmhouse is the perfect marriage of architecture and landscape. Its stone façade mirrors that of the low native stone walls, while the sliding barn doors are stained to reflect the color in the foliage come fall. 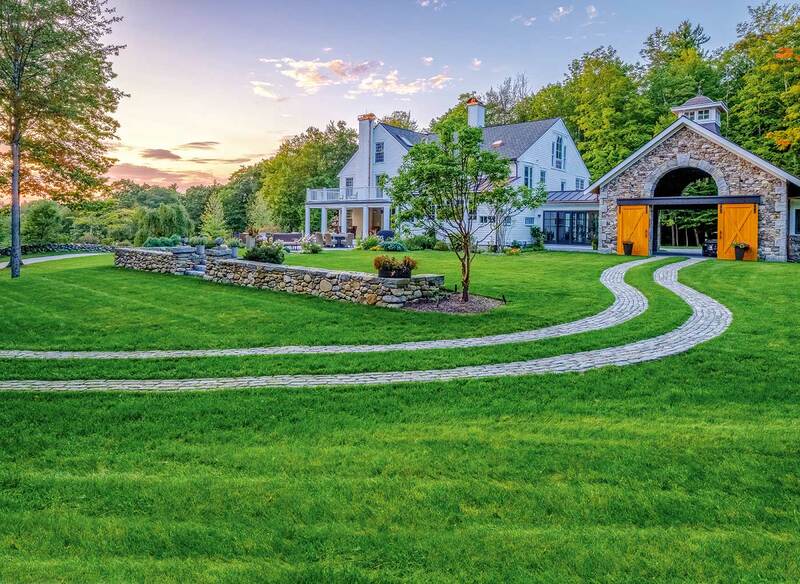 Pellettieri Associates, Inc. called for two gently curving stone paths to act as the driveway so as not to detract from the expansive, verdant grounds. The landscape architecture and construction firm also ensured that the views are as breathtaking on the approach as they are on the drive out.